AfterNET is an Internet Relay Chat network that was founded in September 1996 and is dedicated to providing a free, quality chat environment, which gives people all over the world a means to communicate with each other. We take special care to ensure that our network provides a place where the freedom of speech of all our users is respected. We now have official SSL certificates signed by StartCom Inc and trusted by most computers by default! Connecting securely to AfterNET just got way easier. 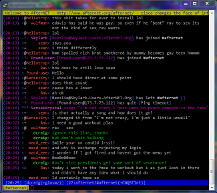 We're testing KiwiIRC, a new web-based IRC client. Give it a try and let us know what you think! We now support SSL encrypted connections on ports 6697 and 9998. As of February 2014, about 12% of our users connect to AfterNET via SSL, and 8% connect via IPv6! You can now connect to AfterNET via IPv6 at our regular irc.afternet.org address, which has both A and AAAA records. 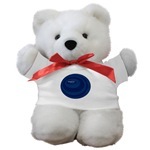 Check out our IPv6 page for help. AfterNET now offers qwebirc, a web-based IRC client similar to Mibbit! qwebirc is open source, free of advertisements, and runs directly on our own servers. Our qwebirc implementation also supports login-on-connect (check the “Auth to services” box at the login screen) and encryption. Feel free to test it out and give us your feedback. Stop by #help to report any issues. The qwebirc client also makes it easy for you to create a custom chat link for your users or even embed the chat window directly into your website. Click the logo in the top left corner of the qwebirc interface and choose “Add webchat to your site” to get started. AfterNET qwebirc: Our own web-based IRC client. Recommended! AfterNET KiwiIRC: Another web-based IRC client we're testing. Recommended! Mibbit.com WebChat: Supports multiple networks. Has advertisements and frogs. If you want to learn more about the various connection options, read this, or just /join #Help on IRC. We pride ourselves on maintaining high-speed IRC servers around the globe, with a strong emphasis on network and service stability. The network has an average of 800 people connected to it at once, and we are fortunate to have a very loyal group of users. Our main channel is #AfterNET and our help channel is #Help. We provide username and channel registrations via our AuthServ and X3 service bots. Many organizations that host websites dedicated to music, sports, software development, gaming, or other special interests choose AfterNET as their chat network because of our “free” nature and our supportive and friendly staff. We hope you enjoy your time on our network, and please let us know if there is anything we can do for you! Please be sure to read our acceptable use and privacy policies. Thanks to your generosity with our SSL funding drive, we are already funded for the next several years, so donations have been disabled. Thanks so much!